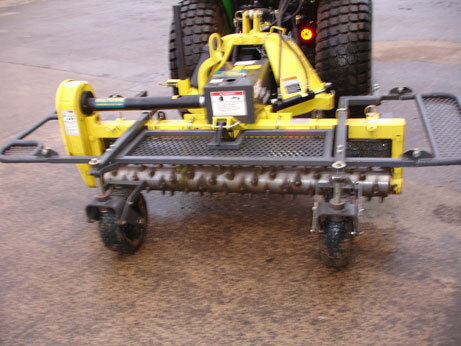 1.8m(72") w/w, PTO driven, hydraulic bi-angling rotor, fitted carbide teeth, adjustable roll over blade, end plates, castor wheels fitted with C.E approved safety guards. This machine requires a Tractor 25-50hp to operate which would be an additional hire. Please see tractor section for details.